Two influential Wall Street advisory firms urged Allergan shareholders to vote against a proposal from activist investor Appaloosa, handing the pharma a major boost in its efforts to beat back the hedge fund's push for changes to the pharma's leadership. Both Institutional Shareholder Services and Glass Lewis, the two largest issuers of voting advice to investors, sided with Allergan management, issuing recommendations for the company's proposals and against Appaloosa's. Appaloosa, a hedge fund founded by David Tepper in 1993, has sought an immediate split of Allergan's CEO and board chairman roles, both of which are held by Brent Saunders. Shareholders will vote on the non-binding proposal at a May 1 annual meeting. Allergan's strategy to head off Appaloosa's demands appears to have worked. In response to the hedge fund's proposal, the pharma in March agreed to "phase in" a separation of the CEO and chairman roles at the next leadership transition — an event with no specific timeline. Allergan also said it would form a new M&A committee headed by newly appointed director and former Celgene CEO Bob Hugin. Appaloosa wasn't placated, calling Allergan's response a "half measure" designed to "avoid a well-deserved rebuke to management." But Allergan's move seems to have been enough to sway ISS and Glass Lewis, both of which indicated in their recommendations that an immediate split wasn't warranted given Allergan's intention to due so in the future. Brent Saunders, 49, has headed the company since July 2014, and became chairman of Allergan's 11-person board in October 2016. Despite steady share price declines in recent years, Allergan has stuck by Saunders, arguing appointing an independent board chairman now could create an "unnecessary crisis of confidence." Allergan's stock slide is just one of the reasons Appaloosa has advanced in support of its call for change. The hedge fund has criticized the pharma's recent track record of acquisitions, which have produced more clinical setbacks than new drugs. Just last month, a late-stage depression drug called rapastinel failed to show a significant benefit in three Phase 3 studies, undermining Allergan's previous predictions of blockbuster sales. A strategic review last year, meanwhile, resulted in Allergan's decision to sell off its women's health and anti-infectives business. Neither sale has happened to date. Also on Monday, the Supreme Court ruled to leave in place a lower court decision blocking Allergan's attempt to shield patents on its top-selling eye drug Restasis (cyclosporine) via a licensing deal with the St. Regis Mohawk Tribe. Allergan received intense criticism for the move, which Saunders publicly defended. "Allergan's Board deserves no deference as the incumbent directors have presided over a failed strategic review, a questionable business strategy and excessive compensation packages, and have exhibited a disregard for sound corporate governance practices," wrote Appaloosa in a statement on ISS' advice. Shareholders will vote on Appaloosa's proposal on May 1. A simple majority is needed to pass the proposal, which is non-binding. While Appaloosa says it has been a shareholder in Allergan for the past three years, it doesn't rank among the pharma's largest. According to the most recent proxy filing, Wellington Management, The Vanguard Group and BlackRock are Allergan's top shareholders, owning a combined 21% of the company. 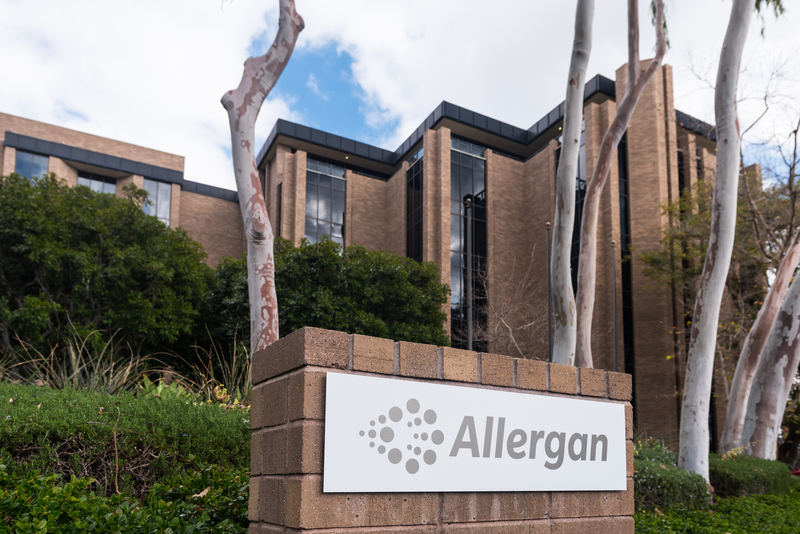 Despite the non-binding nature of Appaloosa's proposal, Wall Street analysts view the vote as a referendum on Allergan's management. it assuming more than marginal majority," wrote Bernstein analyst Ronny Gal in a note to clients. "If they do, there will reasonably face effort to unseat the board." Randall Stanicky, an analyst at RBC Capital Markets, has even suggested Allergan could break up or spin-off parts of the company to create separate businesses around medical aesthetic products like Botox (onabotulinumtoxinA) and therapeutics. Allergan, however, has previously argued a split would be disruptive, particularly as several of the pharma's business areas overlap and share resources. Shares in Allergan fell by about 1% on Monday morning.